Security is a team effort. 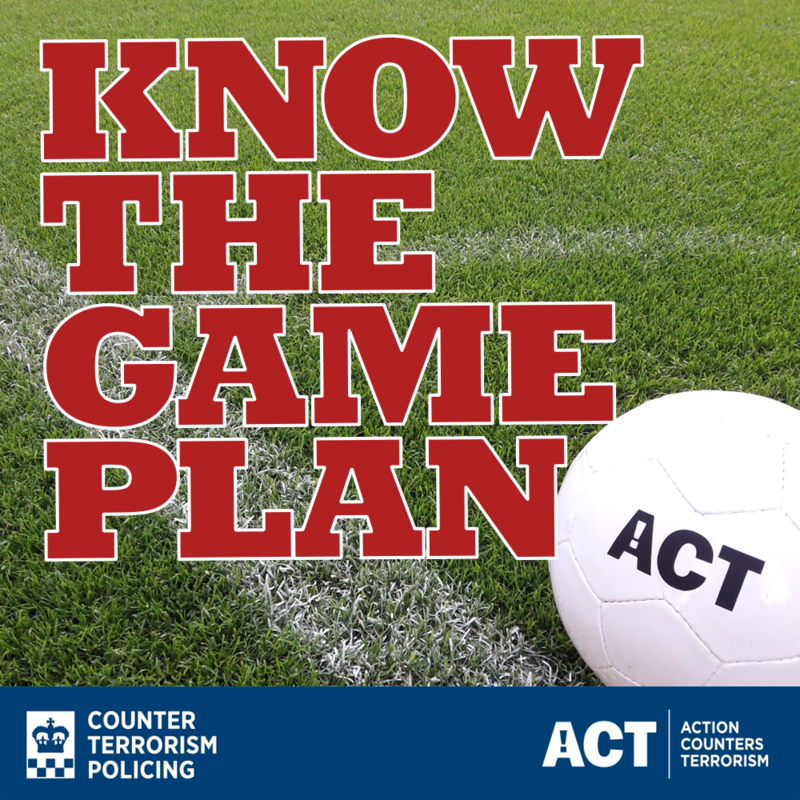 Counter Terrorism Policing have been working closely with a range of sporting organisations in an effort to enhance measures designed to keep supporters safe, and to raise awareness of the threat from terrorism among club employees and supporters. While there is no specific threat to sporting events, Counter Terrorism Policing have worked alongside the Premier League, English Football League, all 92 football league clubs, as well as Premiership Rugby. Prior to the 2018 World Cup, Counter Terrorism Policing teamed up with Alan Shearer, David Seaman, and Paul Parker in an effort to offer security advice to those watching the games. Find out more about the Know The Game Plan campaign during the World Cup. The project is part of a wider police plan to work more closely with different sectors such as retail, hospitality and entertainment to help protect the public. Find out more information about Know The Game Plan and our partnership with the Premier League and EFL.